Description Brilliant Crystals brings you color-match gameplay awesomized Ninja Kiwi style - with a heap of powerups and deep tactical play. The Brilliant Crystals have been drained of their power and it is up to you to find and restore them. Make matches, fill your potions, and unleash 20 different power-ups on puzzle enemies who have a few tricks of their own. 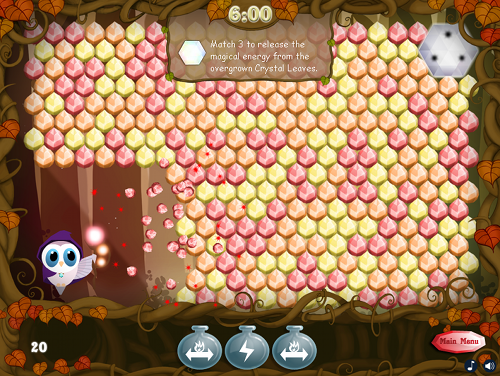 Controls Shoot to match clusters of three or more crystals. Use powerups to smash even more crystals. Hit each brilliant crystal with one shot of each colour to burst it. Click your potion bottles to store the powerup use for later.